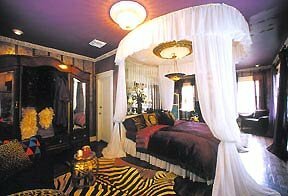 Bogart's Bed and Breakfast is a truly beautiful home featuring four palatial guest suites. 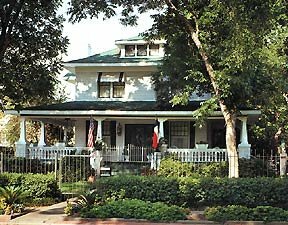 The home has three floors and is decorated with antiques, eclectic furnishings, crystal chandeliers, stained and beveled glass accents, and many unique accessories. The ambiance and décor of the main floor overwhelms you as you pass through our doors into a place of luxury and grandeur. Common areas you are invited to enjoy while staying with us include the main dining room, formal living room, parlor, kitchen, butler's pantry, and solarium/dining area. Upon arrival you will be greeted with welcome treats of the host's choice.